One Momma Saving Money: Update your wardrobe with these Perfect Fall Pieces! 40% OFF + FREE Shipping! Update your wardrobe with these Perfect Fall Pieces! 40% OFF + FREE Shipping! 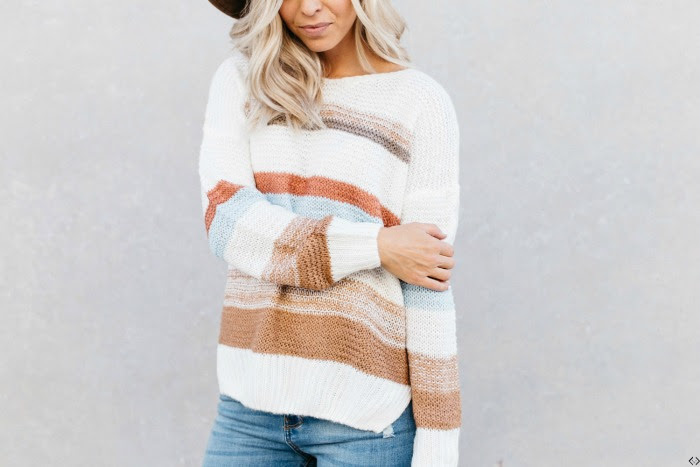 Today Cents of Style is offering some of the cutest Fall Sweaters for 40% off + FREE Shipping! All three of these sweaters are staple pieces for any wardrobe! They are perfect worn casually or dressed up making them a go to piece for any occasion! The code is COZYSTEAL and it takes 40% Off! Don't forget the FREE Shipping!